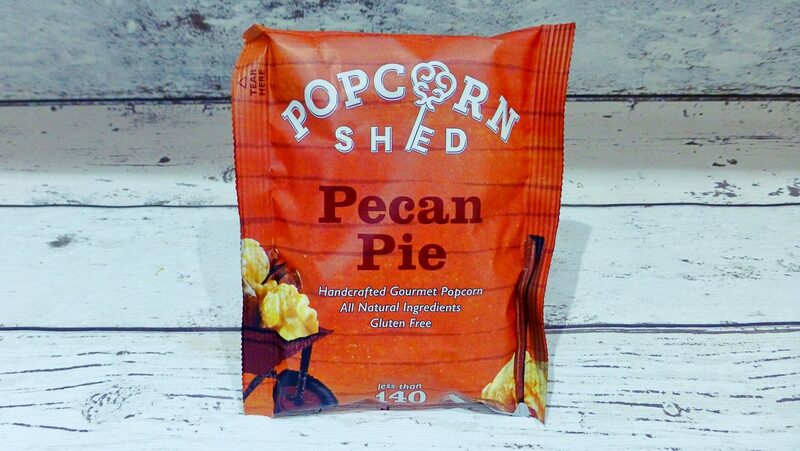 The popcorn love affair continues….. We previously had the delicious but lacking in size Popcorn Shed Butterly Nuts, and this week we have Popcorn Shed Pecan Pie. No longer reserved for the pastry case, Popcorn Shed have taken a much loved sweet dessert and fused it with popcorn and I for one hope this tastes as good as it sounds. Again this little 28g snack pack came from Ocado and was £1.50. Interestingly although there were only a few extra grams in this pack, visually there looked to be so much more than the Butterly Nuts version. The shade of golden was a lot fairer, surprising as I thought this one would be a richer and darker colour. Once again the flavour was delicious and the pecan pie element really shined when you got those little nibs of pecans with the popped kernels. The kernels were pretty sizeable and still had that crunch factor. 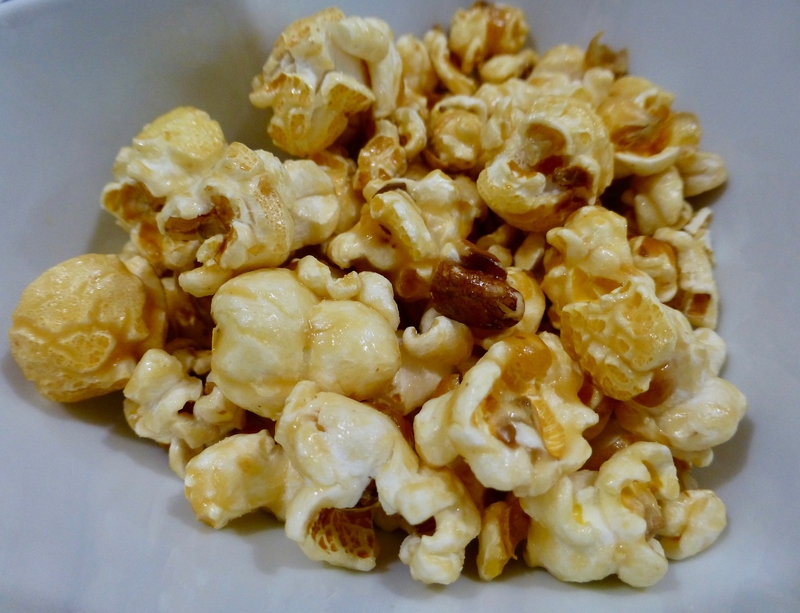 Although it was caramel popcorn it wasn’t sickly sweet and on the whole it had a little treacle flavour to it which I loved. Side by side this bag of Popcorn Shed Pecan Pie popcorn was delicious but didn’t have the consistent flavour like the Butterly Nuts version. I longed for more pecans and think that this really would give it that true pecan pie feel from start to finish. Have you tried any of the Popcorn Shed flavours?